What’s New About the iPad Pro 11? According to Apple, the new iPad Pro 11 is more powerful than 92% of laptops available in 2018. It offers an experience comparable to the most powerful laptops on the market. 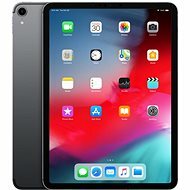 The new iPad Pro 11 is powered by a modified version of the A12X Bionic chip, introduced along with the new iPhone models. 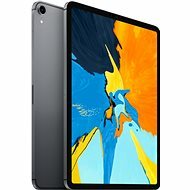 This powerful processor can easily handle any task, and thanks to the Neural Engine and machine learning, the new iPad Pro 11 operates much more efficiently than its predecessor. 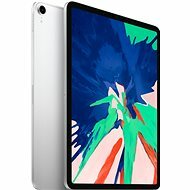 With its narrow frames, the iPad 2018 has smaller dimensions and a larger screen compared to the previous 10.5" iPad version. The new iPad Pro 11 has also slimmed down somewhat, featuring a thin 5.9mm profile. Its smaller dimensions and weight of just 468g provide simple and intuitive control. With the iPad Pro 2018, you will also get an Apple Pencil 2 for drawing, sketching, or writing notes. The pen can now be magnetically attached to the edge of the tablet, which is highly practical and allows you to charge the pen wirelessly. You can find the Apple Pencil 2 in our iPad Accessories category. The iPad Pro 2018 features a rear 12Mpx camera and a 7Mpx selfie camera. Additionally, the front camera supports TrueDepth technology to change the depth of field of the captured photos. This is particularly useful for the great Face ID feature. Just like the new iPhones, the iPad Pro 2018 features Face ID technology that enables users to authenticate via simple face recognition. Advanced face analysis with a TrueDepth camera and infrared light ensures exceptional security. You can use Face ID to confirm payments made through Apple Pay. Face ID can recognise your facial features even with makeup or a beard. Just like the latest generation of iPhones, the iPad Pro 2018 does not have a classic home button. The button’s functionality has been partially replaced by Face ID. Unlike previous models, the iPad Pro 2018 uses the USB-C connector type. In addition to charging, you can use it to connect a variety of devices to your tablet - such as an iPhone or a camera. The new iPad Pro 11 can also be connected to a monitor or TV during video editing and you can then watch the preview on a large screen. What other features does the new iPad Pro 11 have? The Liquid Retina IPS display offers high resolution, wide viewing angles, and accurate colour rendering. The tablet offers a wide range of internal storage capacities, from 64GB to an incredible 1TB. The 3G/4G module on the nano SIM allows the iPad to use mobile internet connection.